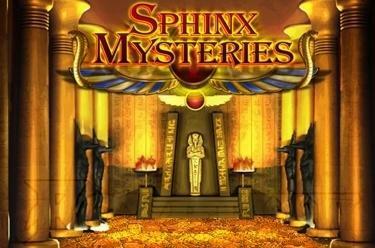 Play Sphinx Mysteries online for free now! In Sphinx Mysteries you play on up to 25 lines that extend across 5 reels. With just a hint of good luck you make it to the free games where you can rake in sizable winnings. The Pharaoh is the highest and at the same time the Wild symbol in this game. The aim with Sphinx Mysteries is to land 5 identical winning symbols on as many win lines as possible. The order of the symbols has to run along the respective win line and always from left to right. 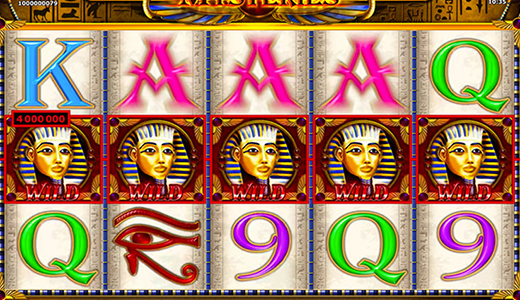 The Pharaoh acts as Wild symbol in this slot and substitutes for any other symbol except for the Pyramid (Scatter symbol). If the Pharaoh is involved in a win this win is doubled. The Pyramid acts as Scatter symbol and counts anywhere on the playing field. In that case the order doesn't matter. Free games are triggered by landing 3 or more Pyramids. Initially, you have to pick one of 5 options: x1 (16 to 20 free games), x2 (13 to 17 free games), x3 (11 to 14 free games), x4 (8 to 12 free games) or x5 (5 to 10 free games). The "x" symbolizes a multiplier, in other words the number that winnings from free games are multiplied with. Once you have made a choice the free games start with the selected multiplier. If the Pharaoh is involved in one of your winnings, the win is multiplied with the multiplier as well as x2. If you land 3 further Pyramids (or more) during free games they are extended with the multiplier already active and the initial number of free games won. Sphinx Mysteries is all about mysterious writings and artifacts as well as boundless treasures. Find the ancient treasures of the Egyptian people! The Pharaoh lends you a helping hand by doubling your winnings and with a little luck you can also reach the free games. Multiplied winnings await you there! What are you waiting for? Embark on a great adventure today!